It is so crazy to see how much diapers and formulas will cost over the years. What a great resource! I'll pass it on to my daughter. Thanks for posting! Don't dare to look at the cost. Every now and then all the baby necessities keep on increasing in price. That's so scary! This is great for people thinking about wanting to have a baby. Having a baby can be expensive; not to mention they still cost a lot even after they turn 18! I knew it was a lot but never took the time to add everything up. Now that my daughter is in preschool we are paying for her to go school and for swimming lessons. They only get more expensive as they get older. Oh gosh. SO many things on this list aren't necessary in any way haha we haven't spend anywhere close to this much on our daughter so far in her 15 months of life. 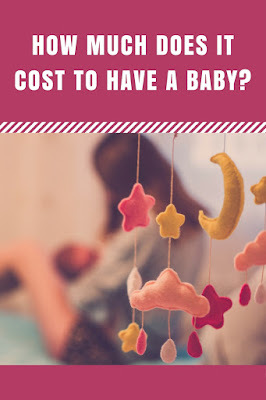 Babies are only expensive as you make them (medical costs aside). It was meant to be a universal list. We didn't buy a lot of the items on it either (which is why I put optional in the notes on a lot of things). I was just trying to give a general idea, hence I emphasized "ESTIMATE" Did you even read my spreadsheet, or just look at the list of items? The sheet also included medical costs, which is where a LOT of our money went.